Sheer panels and textures where the highlights from Caronlina Herrara's SS16 collection at NYFW. There were hues of pink all round along with a few 3D pieces. My favourite piece from the collection has to be the first look featured in this post. You can count on the translucent sheer dress like trench coat being a popular trend for the SS16 season. 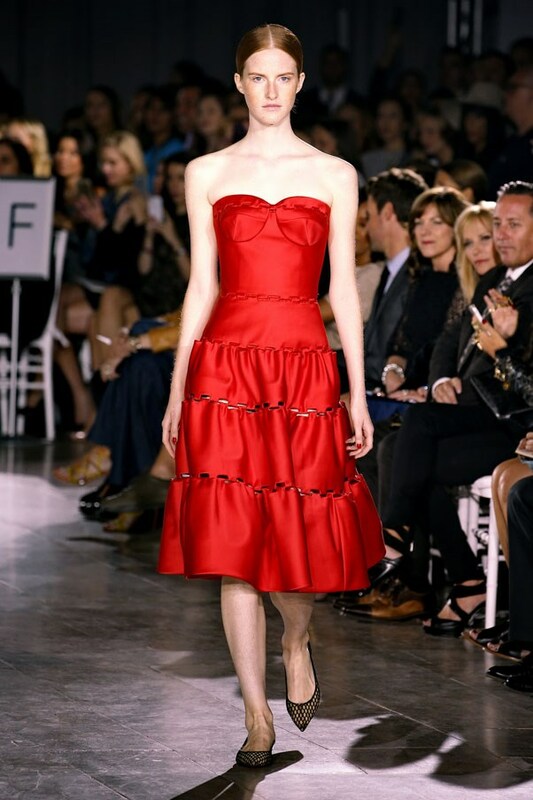 I have to say that the Carolina Herrera SS16 collection is one of my favourites so far from NYFW. 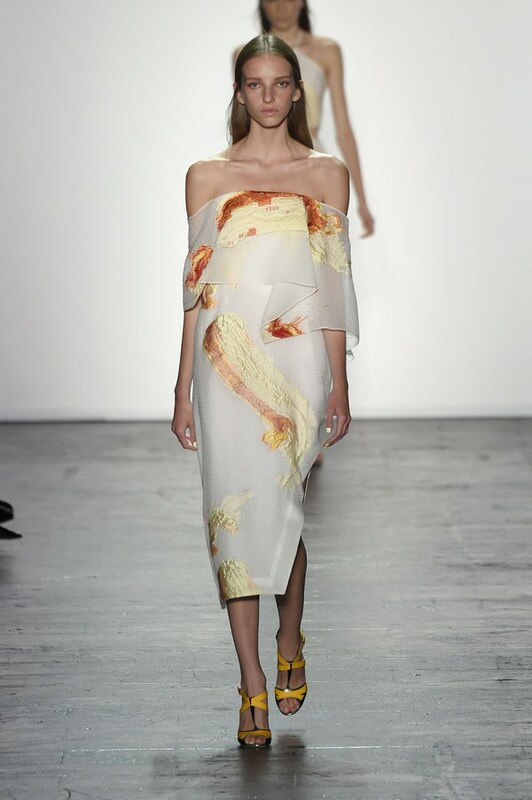 The SS16 Zac Posen show was full off elegance with structured shapes and quite simply beautiful creations, from the gowns to the midi I was in love with every piece from the collection but I have chosen to share with you a few of my favourites from his NYFW show. You could almost say that there was a hint of the 50's inspiration with the big swing like midi skirts and dresses. Lets also not forget about the Christian Louboutin flats pointed shows that made its way on the catwalk, further cementing the pointed flat shoes as SS16 it shoe and showing us that flat shoes can equally be as stylish as heels that often feature as many designer's shows. I think you can all agree with me in saying that the Jeremy Scott SS16 NYFW show had a heavy 60's influence and if you are a shrinking violet then his pieces are bot for you. It was one show that was not short of colour, there was definitely a rainbow of colours on his catwalk. I loved the bold use of colours and prints in his SS16 collection. The collection featured a number of A-line dresses, separates and a number of acrylic accessories. I particularly love the round framed sunglasses, I think would be an amazing accessory the spring/summer season. 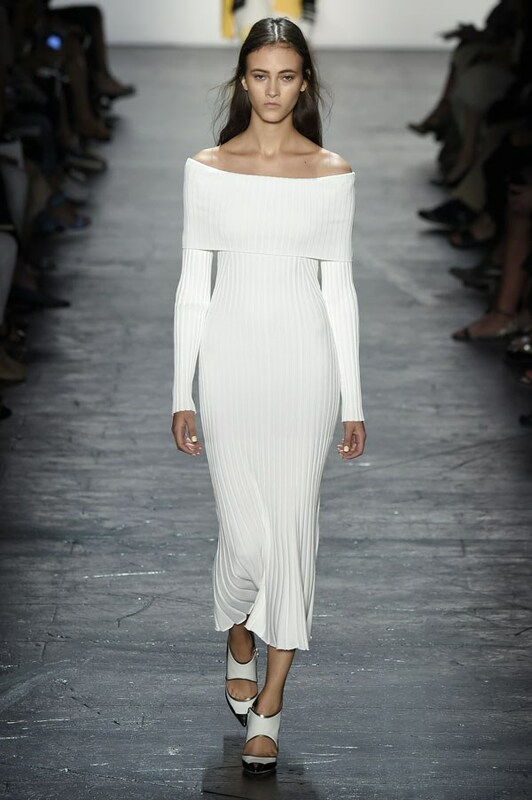 I love the muted tones from Prabal Gurung's SS16 collection, not to add the slinky silhouettes that elegantly drape off the female form. The pieces from his collection will be ideal for those summer soirées and dinners. It's a simple, stylish and sleek collection from the off the shoulder pieces to the low cut dresses and tops.